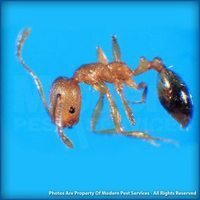 The worker fire ant is between 1/16 – 1/4 inch in length. The queen averages 1/4 inch. Their head and second body segment is a reddish color, but the abdomen is generally black. Their stinger is at the end of their abdomen. These ants received their name because of the fiery pain the victim receives from their sting. The fire ant usually develop their colonies in the ground, under rocks, under wood, and in voids in structures. 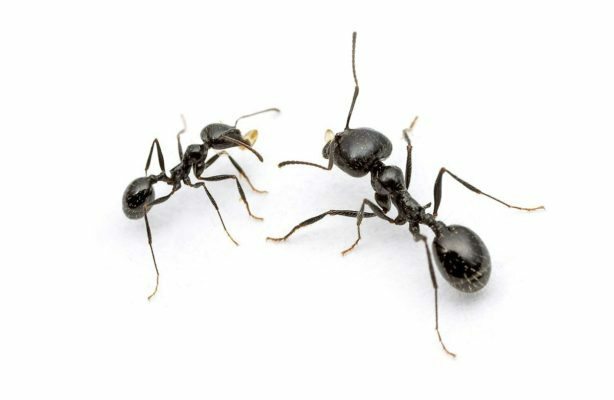 Size of colonies can range from 80,000 – 250,000 ants! They are often attracted to electrical junction boxes such as air conditioners or traffic signals. They can cause this equipment to malfunction by chewing on the wires. They also follow pipes and wires into structures. Foods high in protein are preferred, but they will feed on almost anything. Some examples are other insects, meats, breakfast foods, fruit, plants, etc. A typical queen can produce about 1500 eggs per day. From egg to adult is approximately 22 – 38 days. 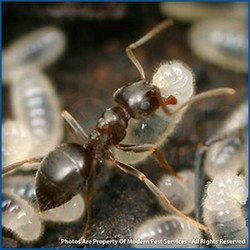 Although the average worker ant usually lives less than 6 months, the queen tends to live 2 to 6 years. 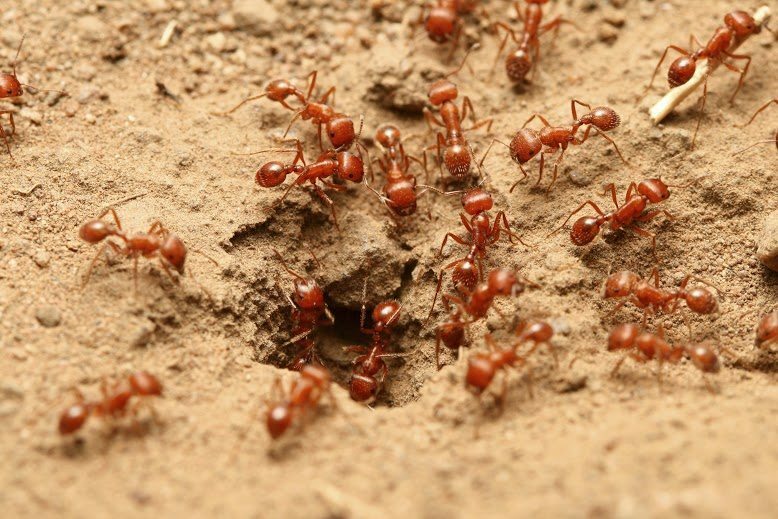 With no known natural predators, fire ants can be a challenge to control. 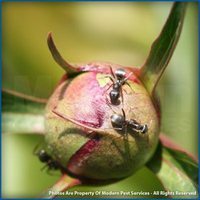 Modern Pest Services offers a highly effective program designed to significantly reduce fire ants on your property. 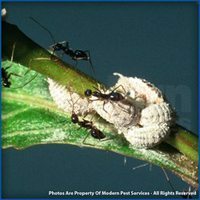 The program starts with a thorough exterior inspection to accurately identify the pest, locate the nest(s) and any onsite conditions which promote activity and determine the level of infestation. This includes the application of baiting materials. 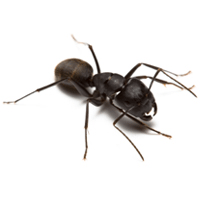 For more information on keeping your home pest free, get a quote today or contact our local pest control specialist!